Killian, the Viscount Locksley, is in no hurry to marry. His father, the Marquess of Marsden, fears he never will, so he devises a plan to get a spare. He places an advertisement in the paper for a wife, but not many are willing to marry, much less conceive a child with, a man thought to be mad even if he comes with a title. In fact, only one woman answers the ad-- Portia. Portia is young beautiful widow who was left penniless with no living relatives when she decided to take the Marquess up on his offer of marriage. Almost from the beginning, however, her story doesn't seem to add up. She wants protection from something or someone the question being what or who? 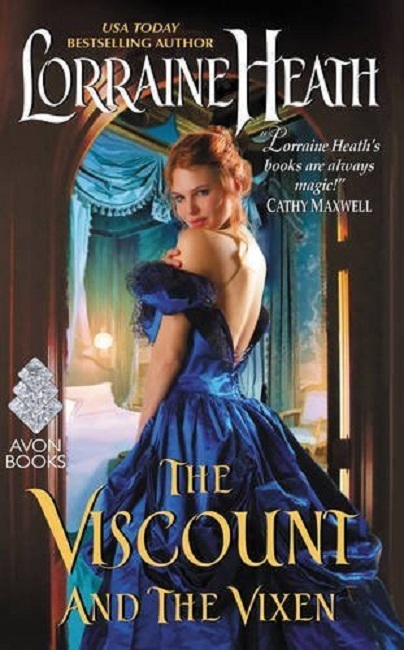 When she meets the Marquess' handsome son, however, things get complicated. This was a wonderful story from beginning to almost the end, The shaky ground started when Portia's big secret was finally revealed. It was hinted at from the very beginning, but the extent of the deceit behind it was massive. While Killian's response was a bit harsh, I don't consider it unreasonable given the time period the book takes place in. If anything it's only a sliver of what could have been dealt out, and given it was only a verbal lashing it would probably be considered quite a mild response at the time. Strangely, Killian's response isn't what gave me such mixed emotions, but rather Portia's betrayal. We live during a time when Portia's secret, while still scandalous, wouldn't be to the extreme it was back in the 1800's. Things have changed so much it's sometimes hard to comprehend just how women were once treated. Could Portia have handled things differently and still have ended up with a satisfying ending? I'm not sure. I truly wish I'd read this one in a book club setting because I would so love to know what other people's response to this situation would be. It definitely opens up a Pandora's box for discussion. P.S. While this is the third book of the trilogy, you can definitely read this one with no prior knowledge of the series.